The X3 has standard Active Head Restraints, which use a specially designed headrest to protect the driver and front passenger from whiplash. During a rear-end collision, the Active Head Restraints system moves the headrests forward to prevent neck and spine injuries. The Tiguan doesn’t offer a whiplash protection system. The X3 offers optional City Collision Mitigation, which use forward mounted sensors to warn the driver of a possible collision ahead. If the driver doesn’t react and the system determines a collision is imminent, it automatically applies the brakes at full-force in order to reduce the force of the crash or avoid it altogether. The Tiguan doesn't offer collision warning or crash mitigation brakes. To prevent power induced skids and loss of control on slick surfaces, the BMW X3 has standard full range traction control. The Tiguan’s traction control is for low speeds only. Low traction conditions at higher speeds are more dangerous, making the need for full range traction control important. The X3’s optional lane departure warning system alerts a temporarily inattentive driver when the vehicle begins to leave its lane. The Tiguan doesn’t offer a lane departure warning system. The X3 offers an optional Surround View to allow the driver to see objects all around the vehicle on a screen. The Tiguan only offers a rear monitor. The X3’s optional blind spot warning system uses digital cameras monitored by computer to alert the driver to moving objects in the vehicle’s blind spots where the side view mirrors don’t reveal them. The Tiguan doesn’t offer a system to reveal objects in the driver’s blind spots. Both the X3 and the Tiguan have standard driver and passenger frontal airbags, front side-impact airbags, side-impact head airbags, front seatbelt pretensioners, plastic fuel tanks, four-wheel antilock brakes, traction control, electronic stability systems to prevent skidding, daytime running lights and available all wheel drive. The BMW X3 weighs 439 to 826 pounds more than the Volkswagen Tiguan. The NHTSA advises that heavier vehicles are much safer in collisions than their significantly lighter counterparts. The X3 comes with a full 4 year/50,000 mile basic warranty, which covers the entire truck and includes 24 hour roadside assistance. The Tiguan’s 3 year/36,000 mile basic warranty expires 1 year and 14,000 miles sooner. BMW pays for scheduled maintenance on the X3 for 3 years and 40,000 miles longer than Volkswagen pays for maintenance for the Tiguan (4/50,000 vs. 1/10,000). To reliably power the ignition and other systems and to recharge the battery, the X3 has a standard 210-amp alternator (180-amp - X3 diesel). The Tiguan’s 140-amp alternator isn’t as powerful. A reliable vehicle saves its owner time, money and trouble. Nobody wants to be stranded or have to be without their vehicle while it’s being repaired. Consumer Reports predicts that the BMW X3 xDrive35i’s reliability will be 22% better than the Tiguan and the BMW X3 xDrive28i will be 34% better than the Tiguan. J.D. 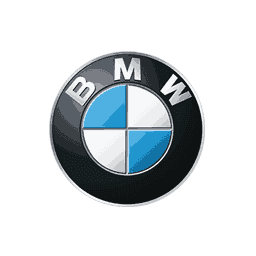 Power and Associates’ 2015 Initial Quality Study of new car owners surveyed provide the statistics that show that BMW vehicles are better in initial quality than Volkswagen vehicles. J.D. Power ranks BMW 6th in initial quality, above the industry average. With 24 more problems per 100 vehicles, Volkswagen is ranked 23rd, below the industry average. J.D. 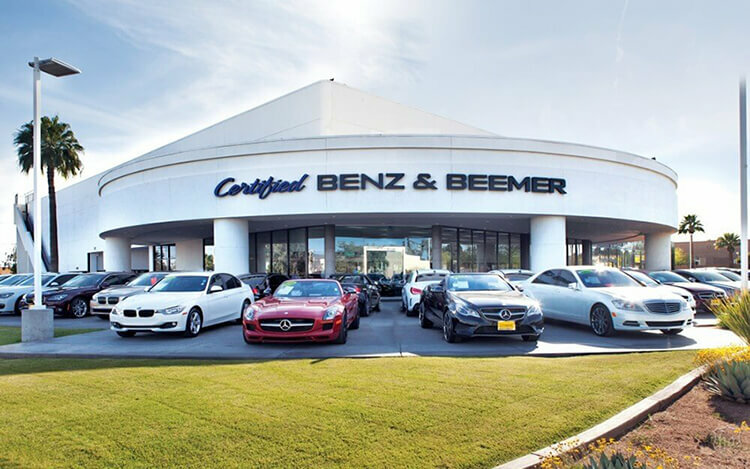 Power and Associates’ 2015 survey of the owners of three-year-old vehicles provides the long-term dependability statistics that show that BMW vehicles are more reliable than Volkswagen vehicles. J.D. Power ranks BMW 18th in reliability, above the industry average. With 19 more problems per 100 vehicles, Volkswagen is ranked 21st. The X3 s/xDrive28i’s standard 2.0 turbo 4 cyl. produces 40 more horsepower (240 vs. 200) and 53 lbs.-ft. more torque (260 vs. 207) than the Tiguan’s 2.0 turbo 4 cyl. The X3 xDrive35i’s standard 3.0 turbo 6 cyl. produces 100 more horsepower (300 vs. 200) and 93 lbs.-ft. more torque (300 vs. 207) than the Tiguan’s 2.0 turbo 4 cyl. The X3’s 2.0 turbo diesel produces 73 lbs.-ft. more torque (280 vs. 207) than the Tiguan’s 2.0 turbo 4 cyl. On the EPA test cycle the X3 xDrive28d gets better fuel mileage than the Tiguan 4Motion ® (27 city/34 hwy vs. 20 city/26 hwy). Regenerative brakes improve the X3’s fuel efficiency by converting inertia back into energy instead of wasting it. The Tiguan doesn’t offer a regenerative braking system. In heavy traffic or at stoplights the X3’s engine automatically turns off when the vehicle is stopped, saving fuel and reducing pollution. The engine is automatically restarted when the driver gets ready to move again. (Start/Stop isn’t accounted in present EPA fuel mileage tests.) The Tiguan doesn’t offer an automatic engine start/stop system. The X3’s standard front and rear disc brakes are vented to help dissipate heat for shorter stops with less fading. The rear discs on the Tiguan are solid, not vented. For better traction, the X3 has larger standard tires than the Tiguan (245/50R18 vs. 215/65R16). The X3’s standard tires provide better handling because they have a lower 50 series profile (height to width ratio) that provides a stiffer sidewall than the Tiguan S’ standard 65 series tires. The X3’s optional 275/35R20 rear tires have a lower 35 series profile than the Tiguan SEL/R-Line’s 40 series tires. For better ride, handling and brake cooling the X3 has standard 18-inch wheels. Smaller 16-inch wheels are standard on the Tiguan S. The X3’s optional 20-inch wheels are larger than the 19-inch wheels on the Tiguan SEL/R-Line. Changing a flat tire near traffic can be dangerous and inconvenient. The run-flat tires standard on the X3 can be driven up to 50 miles without any air pressure, allowing you to drive to a service station for a repair. The Tiguan doesn’t offer run-flat tires. The X3 has standard front and rear gas-charged shocks for better control over choppy roads. The Tiguan’s suspension doesn’t offer gas-charged shocks. The X3 offers an optional driver-adjustable suspension system. It allows the driver to choose between an extra-supple ride, reducing fatigue on long trips, or a sport setting, which allows maximum control for tricky roads or off-road. The Tiguan’s suspension doesn’t offer adjustable shock absorbers. For a smoother ride and more stable handling, the X3’s wheelbase is 8.1 inches longer than on the Tiguan (110.6 inches vs. 102.5 inches). For better handling and stability, the track (width between the wheels) on the X3 is 1.8 inches wider in the front and 2.4 inches wider in the rear than on the Tiguan. The X3 xDrive28i xDrive handles at .82 G’s, while the Tiguan SE pulls only .80 G’s of cornering force in a Motor Trend skidpad test. The X3 xDrive28i xDrive executes Motor Trend’s “Figure Eight” maneuver 1.2 seconds quicker than the Tiguan SEL 4Motion ® (26.9 seconds @ .77 average G’s vs. 28.1 seconds @ .59 average G’s). The X3 has 1.6 inches more front headroom, 2.2 inches more front shoulder room, .1 inches more rear headroom, 1 inch more rear legroom and 2.4 inches more rear shoulder room than the Tiguan. The X3 has a much larger cargo area with its rear seat up than the Tiguan with its rear seat up (27.6 vs. 23.8 cubic feet). The X3 has a much larger cargo area with its rear seat folded than the Tiguan with its rear seat folded (63.3 vs. 56.1 cubic feet). A low lift-over cargo hatch design makes loading and unloading the X3 easier. The X3’s cargo hatch lift-over height is 27.8 inches, while the Tiguan’s liftover is 31 inches. To make loading and unloading groceries and cargo easier, especially for short adults or children, the X3 has a standard power cargo door, which opens and closes automatically by pressing a button, or optionally by just kicking your foot under the back bumper, completely leaving your hands free. The Tiguan doesn’t offer a power cargo door. The X3 offers an optional heads-up display which projects speed and other key instrumentation readouts in front of the driver’s line of sight, allowing drivers to view information without diverting their eyes from the road. The Tiguan doesn’t offer a heads-up display. The power windows standard on both the X3 and the Tiguan have locks to prevent small children from operating them. When the lock on the X3 is engaged the driver can still operate all of the windows, for instance to close one opened by a child. The Tiguan prevents the driver from operating the rear windows just as it does the other passengers. The X3’s front and rear power windows all lower with one touch of the switches, making it more convenient at drive-up windows and toll booths, or when talking with someone outside of the car. The Tiguan’s rear power window switches have to be held the entire time to open them fully. If the windows are left down on the X3 the driver can raise them all using the key in the outside lock cylinder. On a hot day the driver can lower the windows from outside the vehicle using the key in the outside lock cylinder or the keyless remote. The driver of the Tiguan can’t use the remote to operate the windows. Comfort Access optional on the X3 allows you to unlock the driver’s door, cargo door and start the engine all without removing a key from pocket or purse. This eliminates searching for keys before loading groceries, getting in the vehicle in bad weather or making a hurried start to your trip. The Volkswagen Tiguan’s Keyless Access doesn’t unlock the cargo door. In poor weather, headlights can lose their effectiveness as grime builds up on their lenses. This can reduce visibility without the driver realizing. The X3 offers available headlight washers to keep headlight output high. The Tiguan doesn’t offer headlight washers. While driving with high beams on, sensitive light sensors available for the X3 detect other vehicles which could be blinded and automatically switch to low beams. The Tiguan doesn’t offer automatic dimming high beams. To shield the driver and front passenger’s vision over a larger portion of the windshield and side windows, the X3 has standard extendable sun visors. The Tiguan doesn’t offer extendable visors. When the X3 is put in reverse, the passenger rearview mirror tilts from its original position. This gives the driver a better view of the curb during parallel parking maneuvers. Shifting out of reverse puts the mirror into its original position. The Tiguan’s mirror doesn’t automatically adjust for backing. The X3 has standard automatic dimming rear and side view mirrors which automatically darken quickly when headlights shine on them, keeping following vehicles from blinding or distracting the driver. The Tiguan has an automatic rear view mirror, but its side mirrors don’t dim. Both the X3 and the Tiguan offer available heated front seats. The X3 also offers optional heated rear seats to keep those passengers extremely comfortable in the winter. Heated rear seats aren’t available in the Tiguan. On extremely cold Winter days, the X3’s optional heated steering wheel provides comfort, allowing the driver to steer safely and comfortably before the vehicle heater warms up. The Tiguan doesn’t offer a heated steering wheel. To keep a safe, consistent following distance, the X3 offers an optional Active Cruise Control, which alters the speed of the vehicle without driver intervention. This allows the driver to use cruise control more safely without constantly having to disengage it when approaching slower traffic. The Tiguan doesn’t offer an adaptive cruise control. The X3’s standard steering wheel mounted cruise control is close at hand. The Tiguan’s standard cruise control is on an over-crowded turn signal stalk. The X3’s available GPS navigation system has a real-time traffic update feature that plots alternative routes to automatically bypass traffic problems. (Service not available in all areas.) The Tiguan’s navigation system doesn’t offer real-time traffic updates. With optional voice command, the X3 offers the driver hands free control of the radio and the navigation computer by simply speaking. The Tiguan doesn’t offer a voice control system. The X3’s optional Parking Assistant can parallel park or back into a parking spot by itself, with the driver only controlling speed with the brake pedal. The Tiguan doesn’t offer an automated parking system. The X3 will cost the buyer less in the long run because of its superior resale value. Kiplinger’s estimates that the X3 will retain a greater percentage of its original price after three and five years than the Tiguan. Strategic Vision rates overall owner satisfaction with vehicle quality. With a Total Quality Index of 889, Strategic Vision rated the BMW X3 31 points higher than the Volkswagen Tiguan for 2015. The BMW X3 outsold the Volkswagen Tiguan by 35% during 2014.